I didn’t know a truck could ever get me this excited and I live and breathe trucks! I’ve been steering trucks for 45 years and this is the most fun I’ve had. We climbed rocks that would make a horse nervous, floated on the Ocotillo Wells desert at 100 mph in Southern California and took on switchbacks on pavement that would make a car slide. It’s not a cheap toy, starting under $50,000 and going up to $70,000 with no rebates and 0% interest. The previous model held its value well averaging 87.8 percent of its MSRP at two years. There’s even a stripped down version with cloth seats for the border patrol, who have ordered some. 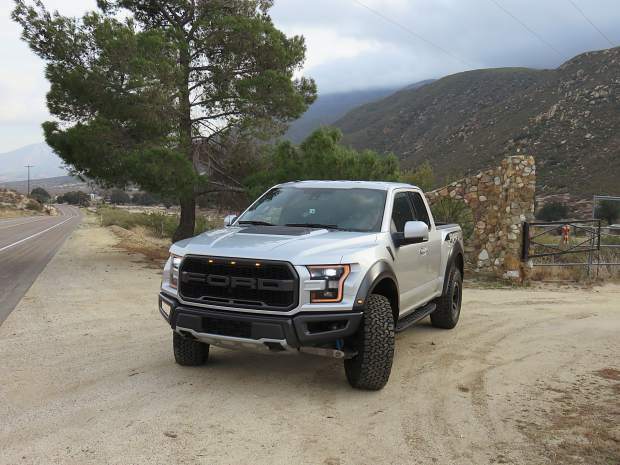 There are so many changes for the second-generation Raptor, from the 6.2L V-8 replaced with the EcoBoost 3.5L twin turbo with new electronic waste gates, dual injectors taking the power up to 450-horse power and 510-pound-feet of torque and the new 10-speed automatic with a console shifter and paddle shifters on the steering wheel. With this power and ability, keeping both hands on the wheel is a good idea. I had to wear a helmet and neck brace when we flew under the radar on the desert. Running 100 mph plus on sand and lifting off the ground a few times kept me from daydreaming. 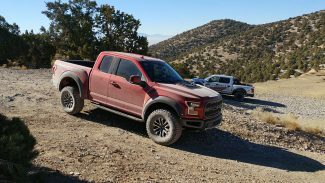 A 6-inch wider track than the other F-150 and 13 inches of travel in the front and 13.9 inches make for a stable platform made for climbing and desert racing. The FOX shocks with floating pistons between the oil and nitrogen have ports staged to change dampening nine places for each section of shock stroke. And the shocks can be controlled by the mode you select. Yes, you can operate the settings manually or just push the button in the steering wheel for what automatic mode you want. Choose from Normal, Weather, Mud and Sand, Baja and Rock Crawl. What mode you choose determines all the settings. The truck will change the FOX dampening, shift schedule, turbo lag, throttle response, 4×2, 4×4 Hi or Lo and Automatic 4×4, along with rear locker and even ABS in Baja mode. But wait there’s more, three steering modes for more or less steering feedback. It’s like this truck adapts to whichever truck you want to drive that day. 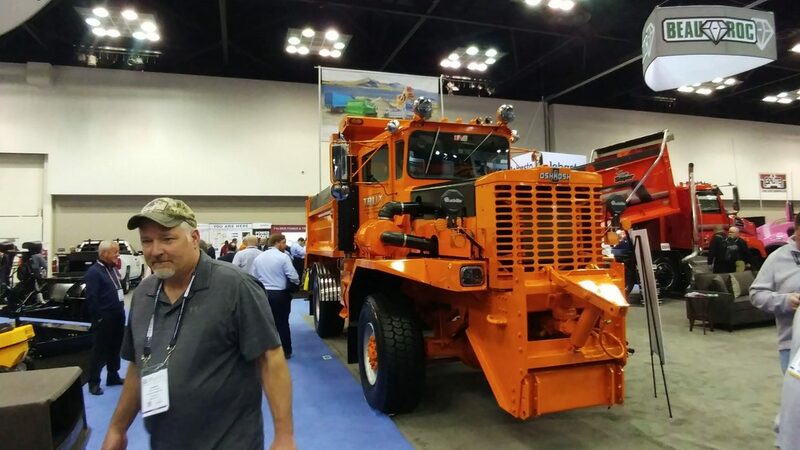 With autonomous trucks coming, driver skill is becoming less important. Lately trucks are easier to tow and back trailers, climb mountains and jump sand dunes. 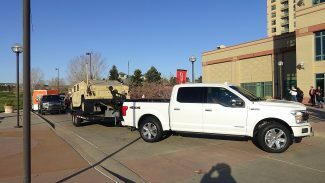 The Raptor with the 4.10 rear axle is rated to tow 8,000 pounds. The 3-inch dual exhaust goes higher under the rear bumper for a 23 degree departure angle and 30 degree approach angle. According to Ford’s off-road computer, I was at 14 degrees sideways and the BFGoodrich all-terrain TA KO 2 didn’t let me slide into the bank on the rocky trail. So traction was great and it was smooth on pavement. In sand, the tires showed extra traction from the sidewall sculpture. 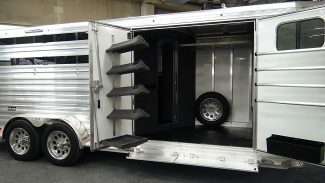 The tires are six-ply 35 inches, with wheels that look like bead lockers, made to upgrade to a real bead locker ring. The new aluminum body Raptor is 500 pounds lighter than last generation and has a stronger steel boxed frame. Aluminum skid plates keep the truck ready for work after you climbed the mountains on the weekend, while 360 degree cameras come in handy driving this wide body in drive-thru’s. When you are climbing rocks, the front camera shows the rocks you are coming to in the center stack screen. Like the new 2017 Ford Super Duty, roof-mounted console auxiliary switches helps add aftermarket accessories like lights and a winch.